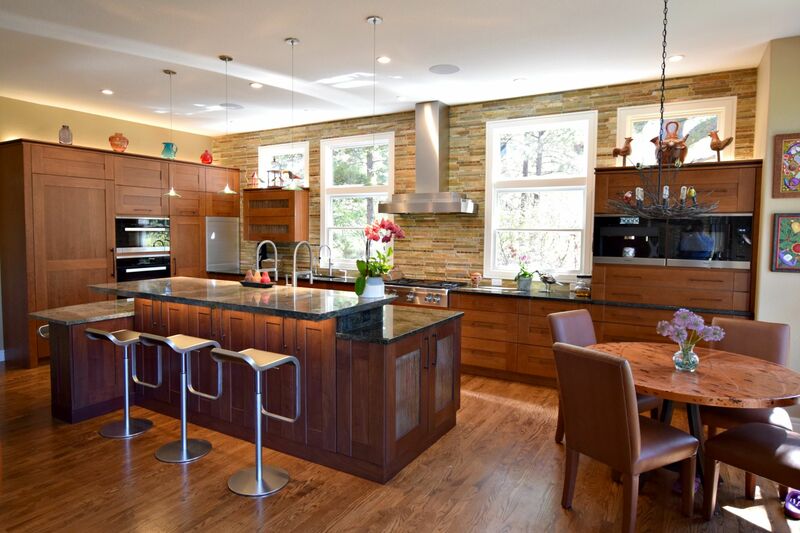 One of the main design goals of this remodel project was to create a stunning “cook’s” kitchen for a homeowner who has limited mobility in one of her shoulders. To accomplish this, we placed an induction cooktop next to the galley sink. With this feature, the homeowner can place an empty pot on the cooktop, fill it with water from the faucet, boil pasta, and then tip the pot into a colander which slides on rails built right into the sink. The homeowner’s grown children often come over and cook with her. Having zones where multiple cooks can work together without bumping elbows became an integral part of the design. 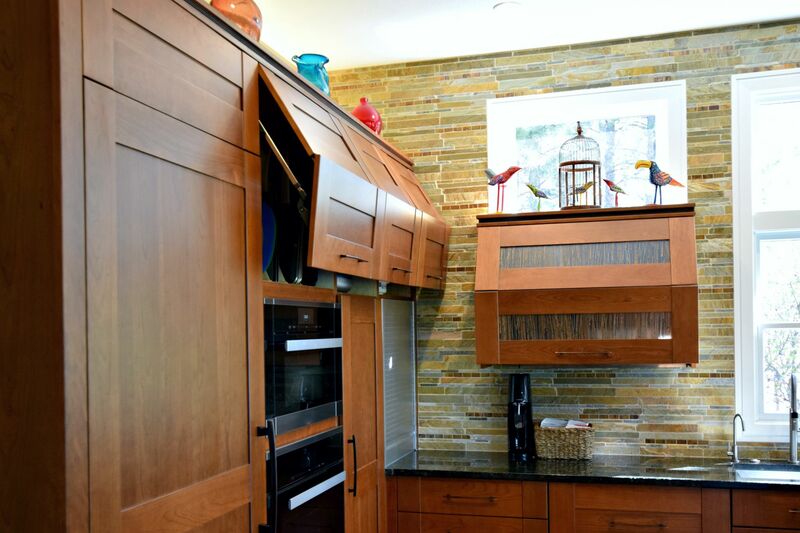 To the homeowner, aesthetics are as important as the utility of the space; her request was that we hide appliances from view as much as possible. 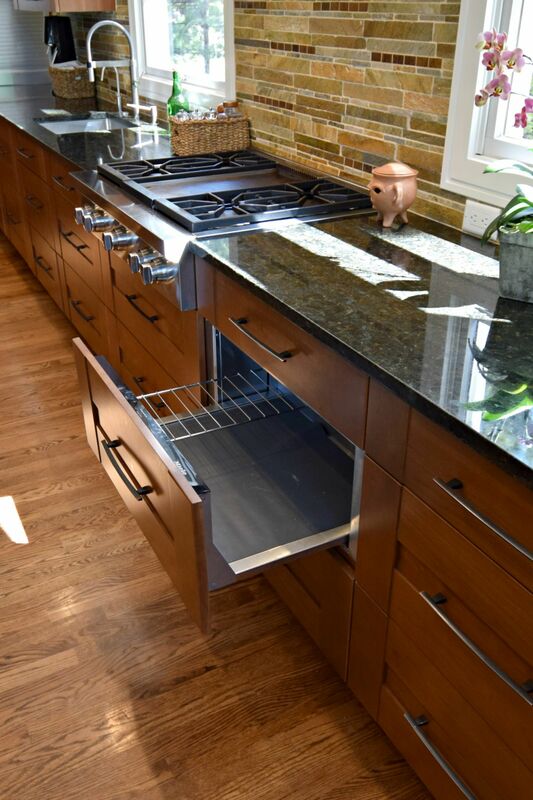 To disguise the mechanical aspects of the kitchen, yet still maintain the fresh, horizontal lines of the design, special features such as appliance panels, roll-up garage, and strapping doors were utilized. 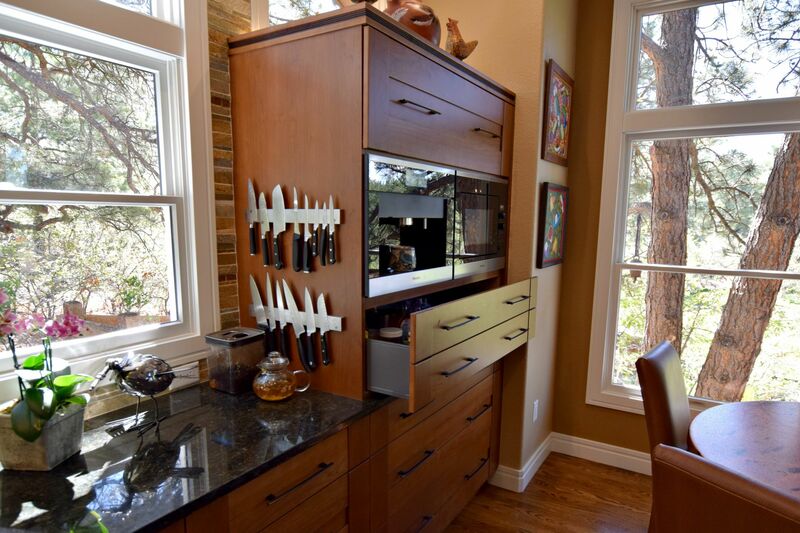 Perimeter Crystal Cabinets feature a custom door style on cherry with Praline finish. Island features a custom color stain on walnut.